We at Spot-On Carpet Cleaning are expert in repairing almost any form of carpet damage. Whether it has got a hole, a burned area, or is torn out, we can make almost any carpet look like a new one. Our carpet repair Warringah services can make your carpet look young and colourful. Whatever be the extent of damage, we can find a solution for you. Getting your carpet professionally cleaned is strongly recommended on a frequent basis. However, we suggest you to take care of your carpet on a regular basis so that it doesn’t get worn out easily. Here are some helpful tips that will slow down their aging process and require minimum services of carpet repair Warringah companies. They are certainly wonderful cleansing agents but are not safe for your expensive home decor. Nothing can look as bad as stained carpet and unfortunately these stains are hard to be removed by even professional carpet repair Warringah agency like ours. Other than the above mentioned maintenance tips, you must regularly vacuum and shampoo you carpet so that it would not require any major carpet repair services for years. Also, get it professionally cleaned on a regular basis. Our professional carpet cleaning services will give it a look shiny and attractive look. 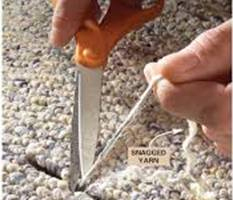 To know more about our carpet repairing Warringah prices, call 0405 554 247.